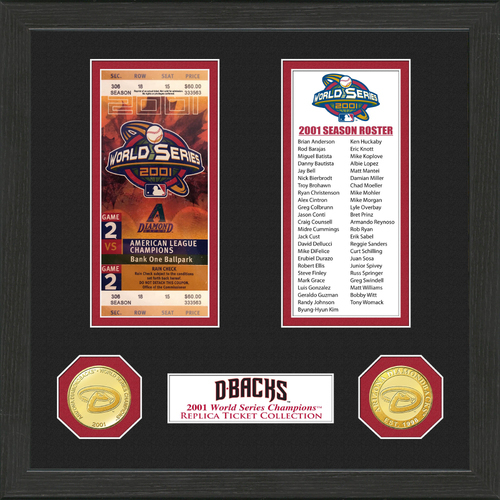 The Arizona Diamondbacks replica World Series ticket collection is featured in a 12" x 12" wood frame with double matting. A 39mm minted bronze Arizona Diamondbacks team coin and a 39mm minted bronze MLB Logo coin are accompanied by a certificate of authenticity. It is officially licensed by the MLB and proudly made in the USA by The Highland Mint!